No wonder so many of them are mystified about how the real estate guy in the White House goes about his business. But that’s a different discussion. Today, we’re focused on the huge difference between how real estate investors and paper investors see the world … and why it matters. Because the way you think affects the way you act … which affects your results. If you pay too much attention to people who don’t understand your business, you’ll probably make bad decisions. 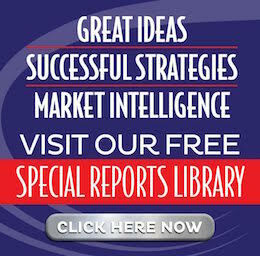 … think in terms of charts, graphs, trends, and asset classes. By “commodity”, we mean a group of individual items which are all identical. … are all virtually identical in any market, anywhere in the world. They’re essentially commodities. And because they’re traded in hyper-efficient, highly-visible, globally accessible exchanges … there’s no room for negotiation. Only bidding. So instead of the Art of the Deal, there’s just the speed of the bid. But real estate is different. There’s ALWAYS room for negotiation. Properties don’t trade in packs. Every geography is unique … right down to the neighborhood and property. We like equity, so naturally this caught our attention. The article cites a recent ATTOM report which reveals in Q4 2018 … “U.S. properties were equity rich” … at the highest level since Q4 2013. Of course, a mainstream pundit might surmise this means the “asset class” of real estate is in a bubble. Watch out below! … and any of a myriad of other sectors of real estate. Not sure how all those diverse sectors get lumped into one “asset class”. Unless Earth is an asset class. Obviously, in just the sub-category of single-family houses … there’s a big difference in price-setting dynamics in the West Coast versus the South and Midwest. Apparently, while equity is happening in some markets, in others the opposite is true. At the same time. So it seems not all the individual units in the “asset class” of housing are uniformly priced … or bubbling up together … or even moving in the same direction. Yes, we realize “stocks” as a class has both winners and losers on the same day. Some are up and some are down. And yes, we realize an individual stock can be up one day and down (way down!) the next. But the entire lot of individual units move in lock step. There are still millions of shares of Facebook stock out there … and if it tanks, it tanks everywhere at the same time. There’s no negotiation. No deal making. Just a high-speed bid. But this isn’t about whether stocks are good or bad … or whether stocks are or aren’t an asset class. Our point is … real estate is NOT an asset class. And this means there are ample pockets of opportunity in niches and neighborhoods. And those opportunities are often found in unlikely places. Not surprisingly, there are a few rust belt cities on the list of underwater cities. Until recently, net job losses in manufacturing has hampered economic recovery in many of these locations. Of course, recent job growth in manufacturing is setting the table for a resurgence in rust belt communities … and creating opportunity in comeback markets. Meanwhile, a couple of markets where we have boots-on-the-ground teams popped up on the underwater list … including Cleveland and Memphis. … to discovering the macro picture is made up of a blend of the high-equity West and lower-equity Midwest and South. But even the metro level is too macro for practical Main Street investing. Remember, Memphis is a top 10 underwater metro. Sounds like a loser, right? Thanks to Terry Kerr, we discovered Memphis 10 years ago. And Terry told us about a little sub-market of Memphis called Frayser. If Elvis is the King of Rock and Roll … then Terry Kerr is the King of Turnkey in Frayser. We won’t bore you with all the great reasons why Terry focuses on Frayser. That’s not the point of this muse. There much we could say … and MANY lessons. For now, just remember, this is happening in a metro that’s top 10 underwater. Frayser is a place both macro and metro watchers have probably never heard of. But we have. That’s the value of having a great local team. Real estate is NOT an asset class. Each sector, region, metro, neighborhood, property, and ownership are unique. To find hidden gems, it’s important to go from macro to metro to micro with the help of savvy boots-on-the-ground experts. So when you hear chatter about the “everything” bubble including real estate … those are trend followers talking about commodity assets at the macro level. But no one in the real world buys real estate at the macro level. In the trenches of Main Street, street smart and well-connected investors find and negotiate unique deals at micro level … finding great opportunities in the crevices of inefficiency. It’s one of the many reasons we love real estate. Until next time … good investing! Stay connected with The Real Estate Guys™ on Facebook, and our Feedback page. The winds of change are swirling like a tornado … even if they’re outside your personal horizon at the moment. That’s why we stay up on the lookout perch … watching for clues in the news and shouting out what we see … so you have time to make smart moves. If you’re an active Main Street individual investor, you know inventory is hard to find in major markets … and it’s even harder to make the numbers work. Of course, the article’s author runs a crowdfunding platform, so his implied solution is to join the crowd and invest in a bigger deal. While we agree with the premise of going bigger, crowdfunding is only a solution for small-time passive investors because of government imposed limits. So if you’re passive and want to go bigger, you need a better answer. More on that in a moment. But if you’re an active investor, then what? Starting your own crowdfunding platform is a heavy lift. You need tech, special licensing, and a crowd. None are cheap or easy. So how can an active Main Street investor compete, when the big boys are marginalizing the little guy? You’ll need to find a way to go big and invest outside the box. First, perhaps the best way for an active Main Street real estate investor to go big is to syndicate private capital. It’s like crowdfunding … without the crowd or tech. It’s still work, but doable for a Main Street individual. In fact, we know MANY are doing it. …. investing in syndicated private placements opens a world of opportunity. So the synergy between active and passive Main Street investors should be obvious. That’s why it works. … it’s REALLY important to pay attention to developing trends … and then paddle quickly and get in position to catch a wave. For example, there’s a huge demographic wave known as the baby boomers. Boomers are getting old. So real estate niches that cater to seniors is a hot sector … in both residential and commercial. If you’re a passive investor, you can invest in a senior housing REIT, a crowdfunded big box project, or a privately syndicated residential facility. They each have pros and cons. But right now, margins on residential facilities are pretty fat. That’s because the big boys are playing at the big box level … for now. When we speak at Gene Guarino’s Residential Assisted Living Academy training, we point out … big money won’t ignore fat profits forever. Big money’s already moving aggressively into single-family homes … bidding prices up and squeezing out late-to-the party individual investors. Those who saw the big boys coming and paddled into place early are riding a nice equity wave. This could easily happen with residential assisted living. So it’s a bit of a land grab right now. The good news is there’s . That’s just one way to invest outside the box. Another is to pay attention to economic trends and migration patterns. As big players gobble up inventory in major markets, smaller investors … and eventually big money … will migrate outside the box into secondary markets. For example, though Dallas is still a solid single-family market … deals are few and far between. It wasn’t always that way. When we started going to Dallas 10 years ago, it was the front end of a real estate boom that’s been GREAT for early adopters. Today, markets like Kansas City, Salt Lake City and Cleveland are on our radar … each for a different reason, but they’re variations on a theme. These markets have affordable price points with strong cash flows for investors. They’re also attractive to Millennials (another important demographic to watch) who’ve been priced out of primary markets. But it’s not just the young and cash-strapped who move for financial reasons. Caution: This is an opinion piece and you may not agree. But the point is high-earners are leaving New York to escape high taxes they can no longer deduct from their federal tax bill. Once again, these trends are easy to see coming, watch develop, and then act on … BEFORE they pick up a lot of steam. We’ve been excited about Florida for some time … and this whole tax thing just makes it better … especially for nicer properties. We got a HUGE wake-up call in 2008 … and it wasn’t any fun. But those lessons help us see trends and opportunities early instead of late. … then get around REALLY smart people who can help you understand what you’re seeing … so you can act decisively. Because if all you are is aware, but you don’t act … you might as well watch game shows. But when you see a trend and have the right relationships, you can identity opportunities and take effective action quickly. Everyone’s smart in hindsight. But can you see the future? Job creation is up. Even better news … the jobs being created are blue-collar jobs, many in the reviving manufacturing industry. This means more wages, more workers … and more folks who can pay rent. In this episode of The Real Estate Guys™ show, we talk to an entrepreneur who has built a real estate business in an off-the-radar market. The truth is, the hot markets you always hear about … San Francisco, New York, Los Angeles … don’t make sense for investors. On the other hand, markets with not-so-great reputations might get you the best bang for your buck, depending on where they’re at in the market cycle. Our conversation today delves into what makes a market make sense … and what it takes to make a profit in sensible markets. Broadcasting since 1997 with over 300 episodes on iTunes! When you give us a positive review on iTunes you help us continue to bring you high caliber guests and attract new listeners. It’s easy and takes just a minute! (Don’t know how? Follow these instructions). Let’s start with a quick real estate investing lesson. Many people generalize the entire real estate investment category. They think real estate is overheated … so there’s no opportunity anywhere, for anyone. Real estate is NOT an asset class. It’s NOT a market. It’s an investment category with MANY different markets, each of which is in its own unique place in the market cycle. But smart investors don’t look at averages. They take the time to do research, look for clues, kick the dirt, and meet people in individual markets. When you’re looking for great markets, one excellent option is the comeback market. Catching a market as it hits step four is the key to riding an up-wave. You don’t want to get in before things have started looking up … but you do want to get into markets that are turning upwards before the crowd. Our guest Bryce Keesee got into real estate in southern Florida 15 years ago … but he has since switched to a market in the midst of MAJOR revitalization. The market? His hometown … Cleveland, Ohio. You might not initially think of Cleveland as a great investment market. That’s part of what makes it so great. Bryce says the market offers many benefits … good price points for properties and rents, a steady flow of dependable tenants, stable worker incomes, and best of all … high cash flow. Let’s get into what makes Cleveland so great. First of all, a revitalized manufacturing industry only adds to the wide variety of blue-collar companies in the city. Steel manufacturers join other major employers like Lincoln Electric, Progressive Insurance, several Amazon warehouses, and the renowned Cleveland Clinic, just to name a few. This variety offers stability … and provides blue-collar jobs that keep rent prices steady. These jobs are one reason Cleveland has a reputation for affordability. Bryce is a fan of blue-collar workers because they tend to be long-term tenants. Many of these workers don’t plan to buy a home. Purchasing a property is “off the list” of goals for many people. We asked Bryce to give us the low-down on his typical rental property. Bryce says properties are slightly different depending on location. The east side of Cleveland has been abandoned for many years, although it’s starting to see growth now. So price points are a bit lower. Bryce says single-family homes on the east side sell for $60-65,000. Monthly cashflow is $750 a month, on average … well above one percent. The west side, on the other hand, has slightly higher price points and rents. Homes sell for 70-75,000, and rents are in the $900 range. It takes 30-60 days from closing to repair and refurbish properties so they’re ready to rent. The rehab process doesn’t follow a cookie-cutter template. Bryce and his partners have standardized the contractors and materials used, but each property gets an individual evaluation. He wants well-functioning, desirable rentals that will save the company time and maintenance costs in the long-term. That keeps tenants happy. Bryce also works to keep tenants happy by building relationships with tenants via his property management company. “Our tenants love us,” Bryce says. A big reason is great communication from his property management team, with whom he has a 10-year relationship. What about the general atmosphere of the Cleveland market? Ohio is extremely landlord-friendly, says Bryce. The law allows for a 3-day notice to vacate for non-paying tenants. The eviction process is only 10 days. That doesn’t mean Bryce follows those timelines … he says his response is to establish a relationship with tenants and make sure the lines of communication are open. Yet another reason why property management is so important! Investors interested in the Cleveland market should listen in to get access to a special report by Bryce that includes even more details! Bryce really loves Ohio, and he thinks other investors will too. Cleveland has great sports teams and the second-largest performing arts district outside of New York City. But it’s also experiencing a revitalization that you can only really understand by kicking the dirt. That’s why we recommend the Cleveland Field Trip. You’ll get a chance to tour Cleveland with Bryce. But you’ll also learn about the investment model Bryce uses … an excellent education even if Cleveland isn’t right for you. We live in an era of over-saturated markets. It’s hard to find markets that make sense. But some markets are just starting to get hot. The very best way to get in on these markets is to learn from someone who has boots on the ground. Because remember, you’re not looking for a property, or even just a market … you’re looking for a TEAM. And a field trip is the best way to meet the people … who know the market … and can help YOU build your own brilliant team. If you love CASH FLOW real estate, then you’ll love Cleveland! Join this fun-filled weekend of real estate market exploration and education in Cleveland, Ohio. and save your seat TODAY! The first thing you should know is that this event is educational. So don’t worry about getting trapped in a room and getting hard closed to buy something (we call this the “timeshare experience”). That’s not the way we roll. You’ll meet local market experts who provide many of the kinds of services you’ll need if you decide Cleveland is the market for you. But nothing gets sold on the trip. If you like what you see and who you meet, then you can follow up on your own. No pressure from us or any of our guest speakers. That’s the why the trip isn’t free or subsidized. You pay for education and that’s what you get. When you arrive in Cleveland on Friday, plan to arrive in time to get to the host hotel by 4:00 pm. The host hotel serves as home base for the entire field trip. So while you’re free to stay elsewhere, ask about a group deal…and it’s just a lot easier if you stay at the host hotel. Friday night, expect a meet and greet, followed by a market overview presentation. Afterwards, head out to dinner with the hosts. Then back to the hotel for some shuteye. Saturday morning get up and at ’em early. After breakfast, you’ll start in the classroom to lay the groundwork for a day of touring. You’ll see a variety of neighborhoods and employment centers, and get an understanding for the overall health and vibrancy of the market. You’ll learn how to look for the telltale signs of opportunity (or danger!) at the neighborhood level. This is important because you don’t buy a market, you buy a neighborhood. Expect an emphasis on single and multi-family residential because that’s what most people are interested in, but you’ll also see commercial and retail areas. If you have a particular interest, register early and be sure to let the hosts know what you’re most eager to learn about. The goal is to tailor each trip to the unique interests of each particular group. The trips are small, so there’s ample time to ask questions and lots of interaction with the guest speakers, tour guides and your fellow field trippers. And look forward to capping the day off with a fun dinner and some tasty libations. Then back to the hotel for a nap. Sunday morning is a lively interactive strategy session, some Q&A, and presentations from local experts. After this power weekend, you’ll know more about Cleveland than most people who’ve lived there for years! Cleveland is making a comeback. Once a forgotten city with a struggling manufacturing sector, Cleveland is rebuilding a stronger, more diverse economy and workforce. With a booming healthcare-technology corridor and revitalized neighborhoods and construction, Cleveland is poised to make a major move in the real estate market. Diversified economy. Shuttering factories led to widespread unemployment. While some of those jobs have returned, it’s no longer the largest sector of the economy, and that diversity is promising for the future of the market. The leader in healthcare. Cleveland Clinic is one of the best healthcare systems in the world and is the national leader in cardiology and heart surgery. Watch for continued growth in the biomedical industry. An emerging tech hub. Greater access to capital, support for entrepreneurs, a low cost of living and a vibrant health tech corridor are just a few of the reasons why technology companies are choosing Cleveland as their home. Eight Fortune 500 companies call it home. It’s not all surgery and computers here. Progressive Insurance, Goodyear Tire and Rubber, Sherwin Williams, and others provide jobs and revenue. And that influx of capital and people is revitalizing neighborhoods. A newer, younger population. Millennials want to live closer to where they work and are coming back from the suburbs to the cities. Cleveland is the 8th fastest growing millennial population in the US, and they’re renting and purchasing homes. Centralized location. According to Forbes, Ohio is within a day’s drive of 60 percent of the US GDP and 150 Fortune 500 businesses. It’s easy and cheap to get to many major cities. Downtown Cleveland is changing rapidly. As the Health-Tech Corridor expands and innovates, Cleveland will continue to be a diamond in the rust belt. We encourage you to take a deeper look at Cleveland. “Really excellent event. Well worth the time and money.” – Margo D.
“Great team to work with.” – Paul H.
“As a native Clevelander, the content and market analysis was spot on. It forced me to reconsider my strategy and expand my investment options.” – John G.
“Meeting the team was worth the trip.” – Brent S.
To get connected to the Cleveland market right away, we encourage you to contact Bryce and Staci of Great Lakes Capital Solutions. They are practically family and strong supporters of The Real Estate Guys™ radio show. They are happy to help you discover great opportunities in Cleveland! Once a forgotten city with a struggling manufacturing sector, Cleveland is rebuilding a stronger, more diverse economy and workforce. It is a diamond in the rust belt. in the late 20th century that was only accelerated by the 2008 recession. Unemployment soared, and home values plummeted. 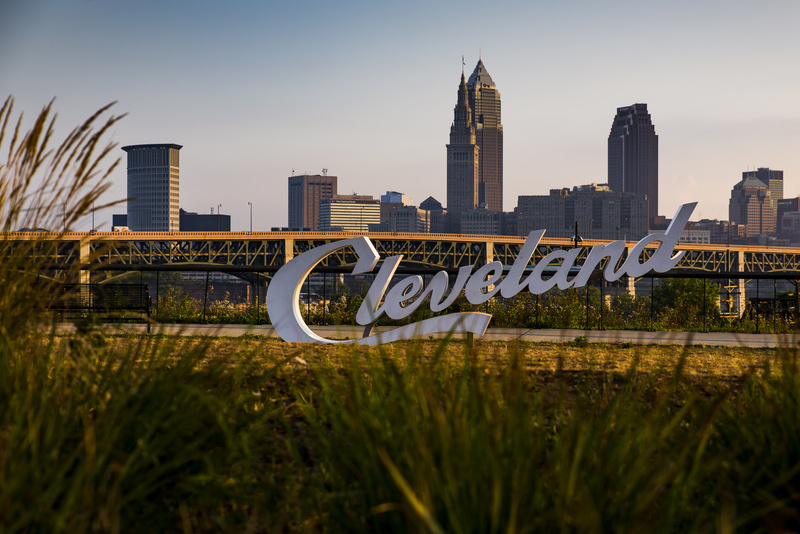 Now, a shifting focus to the healthcare and tech industries and a slow but steady return of manufacturing spells a new slogan for Cleveland … it’s Believeland, Ohio. Downtown Cleveland is changing rapidly. As the Health-Tech Corridor expands and innovates, Cleveland will continue to be a diamond in the rust belt. 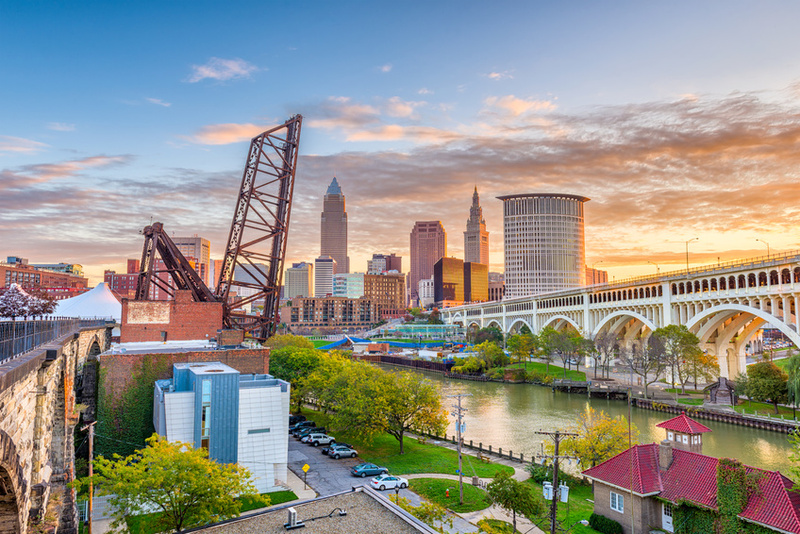 With a booming healthcare-technology corridor and revitalized, rejuvenated neighborhoods and construction, Cleveland is poised to make a major move in the real estate market. Looking to get in just as it’s heating up? Take a deeper look at Cleveland, the diamond in the rust belt. There’s a reason locals call it Believeland, Ohio. Like many industrial cities in the US, markets have struggled to come back from tough losses over the past few decades. But, once-abandoned and forgotten neighborhoods are getting new life, welcoming new industries, and starting fresh. Cleveland Clinic and an innovative tech sector, along with a vibrant arts and music scene … Rock and Roll Hall of Fame anyone? … have made Cleveland one of the top cities for millennial renters AND an affordable stable market for investors. 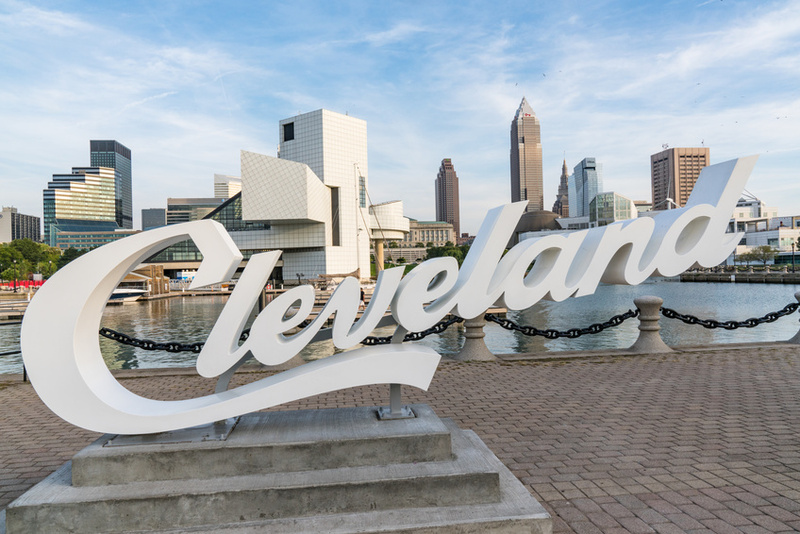 Check out this report and discover why eight Fortune 500 Companies have chosen Cleveland as their home base and why now is the PERFECT time to consider an investment in this city. Ready to learn more about the diamond in the rust belt? 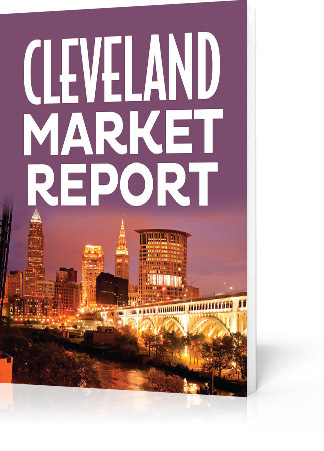 Simply fill out the form below to receive your copy of the Cleveland Market Report. Check out what could lie in store for you in Cleveland! Great Lakes Capital Solutions is bringing investors affordable turnkey rental properties with above-average cash flow from day one! Great Lakes Capital Solutions has carved out a niche in the greater Cleveland Metro Area and is fully rehabbing, tenanting, and managing their clients’ investments for success. Everything they do is in-house … nothing is outsourced! All construction including licensed activities, maintenance, and property management is all under their control. Plus, each property undergoes an annual standardized maintenance and inspection program which focuses on both the structural and mechanical aspects of the property. This program prevents major issues and proactively keeps the property in top rental shape. Having everything in-house allows for top-notch work and proper maintenance for the longevity of the property, as well as, lower maintenance costs and better cash flow. Like us, they believe it’s crucial to choose markets with solid fundamentals, and a strong “boots on the ground” team to ensure your investments generate the results you’re looking for. They work hard to match investors with the right properties. Great Lakes Capital Solutions Team seeks to understand each investors goals and priorities (not a one-size fits all operation) and then facilitate the purchase process including funding options, and managing each property for success. Contact Great Lakes Capital Solutions today and discover how YOU can have instant cash flow from this diamond in the rust belt! Simply fill out the confidential form below! “Great group. Knowledgable. Great opportunity area.” – Jake C.
“Bryce is an awesome motivator and speaker!” – Bill and Karen J.